Boyfriend jeans. We all want them but it’s easy to assume they only look good on super skinny models. Well, as a not super skinny model (or a model at all for that matter) I am here to tell you that they can be worn by us curvier women too! Recently I got a pair of boyfriend jeans in my fashion subscription box and I couldn’t be happier with them. They are the perfect summer jeans, if you ask me, because they aren’t shorts, but they’re not jeans. In fact, they are great for any season. They’re fitted but they’re not tight and they are most certainly not skinny jeans. They just look easy and cool and that’s exactly what they are! See what I mean? Easy-breezy, right? I paired these boyfriend jeans with my plain white t-shirt, wedges and some long necklaces. The half up top knot is a summer favorite of mine and I love the look with this super casual style. 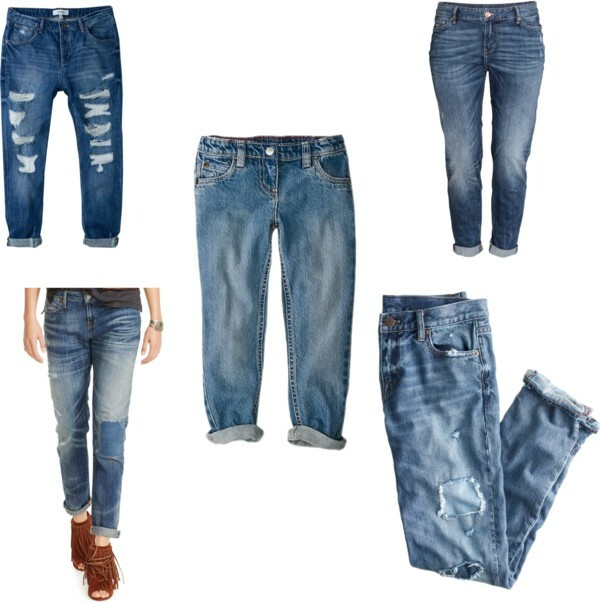 If you were wondering how to wear or if you could wear boyfriend jeans, you can. I’m sure you can. And with how comfortable they are, you’ll be thankful you gave them a try. Here are 5 super cute boyfriend jean styles. As you can see, there are styles that are ripped and faded and there are others that are more neatly put together with a cleaner finish. Something for everyone, yo! They make for a great casual look with a cool vibe. What’s your take on boyfriend jeans? Take ’em or leave ’em? Natalia is a mom to two crazy boys and wife to one handsome dude. She lives in France part of the year where her husband plays professional basketball, but she hails from Southern California. The hubs was born & raised in Nassau, Bahamas, which makes them an intercultural, interracial family traveling the globe together since 2007. She loves to cook (but mostly eat), hang with her fam, be adventurous, & find ways to stay girlie in a house full of men. On her site you can find loads of hair tutorials, makeup ideas, & fashion tips for the everyday woman. She believes that beauty and fashion don't have to be intimidating and that every woman should learn to embrace her own beauty. Like them. Just bought a new pair last week. Love it! I’m sure they’re a darling addition to your closet!